Bee Smart Xylophone toy for kids. 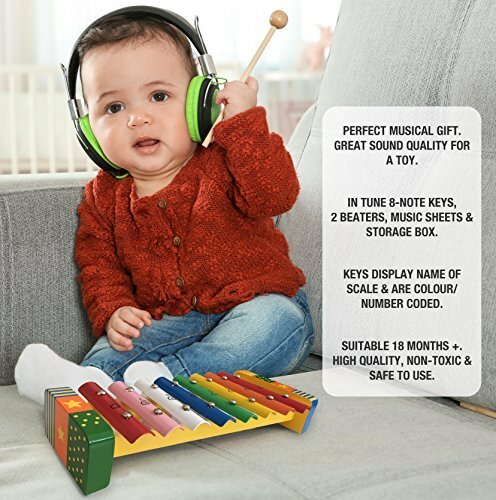 Xylophone Glockenspiel Percussion Musical Instrument for Toddlers with Music Sheets and Wooden Storage Box with 2 beaters; Baby Musical Instruments Wooden Toys. COLOURFUL STAR DESIGN, GREAT NOISE & SOUND. A percussion instrument Xylophone Glockenspiel with 8 multi-coloured metal keys and with wooden frame, in a premium wooden storage box with 2 beaters and colour/note coded song sheets of popular FIVE tunes. 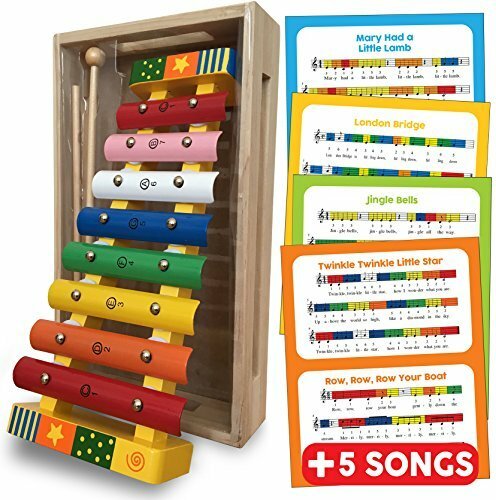 Long lasting wooden base with vibrant multi coloured keys marked C to C. Perfect Toddler xylophone musical toy. Can be played by toddlers who’s just learning their ABCs, numbers or colours. It’s easy to play and learn with the notes stamped onto the metal keys. It is both educational and entertaining and is guaranteed to provide hours of music-making fun! MUSICAL FUN & EASY TO PLAY. 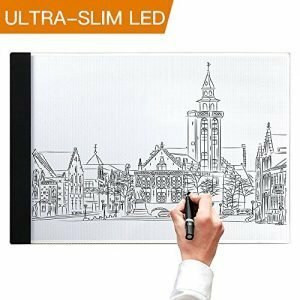 Good quality and great fun for little kids. An ideal first musical instrument presented in a lovely premium wooden storage box making it an ideal gift. SUITABLE 18 MONTHS +. Size of product: 25cm x 13cm x 4.7cm (depth). The 2 beaters are specially designed easy to hold and work well with little hands. Encourages hand and eye co-ordination, creativity and enhances fine motor skills. High quality materials ensure durability and safety. Songs include: Jingle Bells, Mary Had a Little Lamb, London Bridge, Row Row Row Your Boat and Twinkle Twinkle Little Star. HIGH QUALITY, NON-TOXIC & SAFE TO USE. 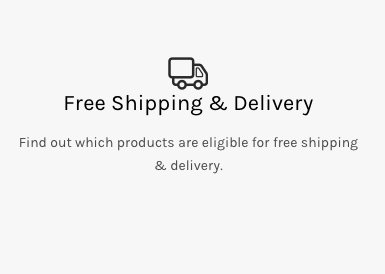 Made from high quality, responsibly sourced materials using non-toxic paints. Conforms to current European safety CE standards. 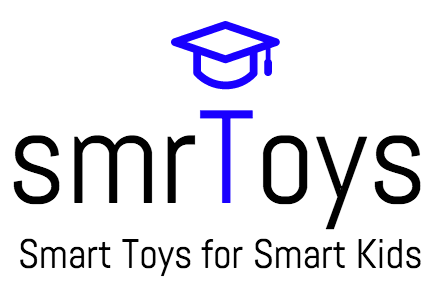 Bee Smart is a UK company recognising that toys play an important part in a child’s development and our quality range of baby wooden toys will make learning such good fun! 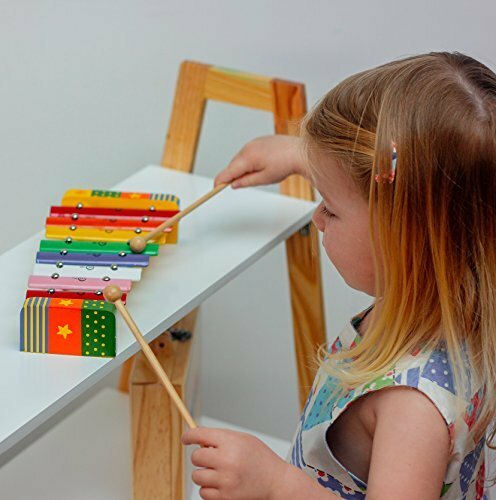 ✔ A PERCUSSION INSTRUMENT Xylophone Glockenspiel for toddlers. 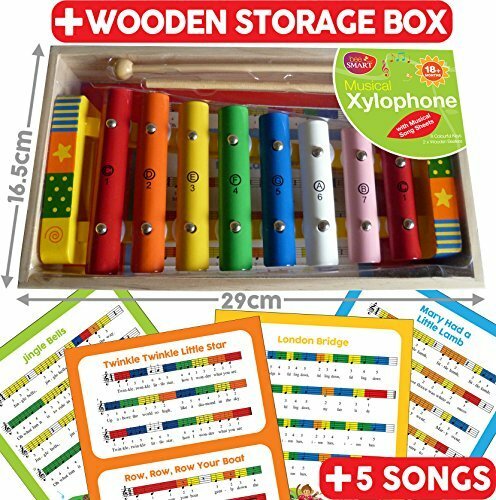 8 multi-coloured metal keys and with wooden frame, in a premium wooden storage box with 2 beaters and colour/note coded song sheets of popular FIVE tunes. ✔ COLOURFUL STAR DESIGN, GREAT NOISE & SOUND. The tones are clear and keys are well constructed so it produces a pleasant sound. Ideal educational toy for GIRLS & BOYS. Can be played by toddlers who’s just learning their ABCs, numbers or colours. It’s easy to play and learn with the notes stamped onto the metal keys. It is both educational and entertaining and is guaranteed to provide hours of music-making fun! 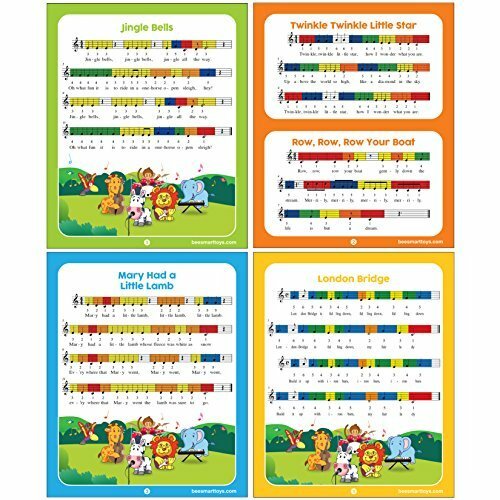 ✔ MUSICAL FUN & EASY TO PLAY – an ideal first musical instrument. Guaranteed to provide hours of music and fun! Popular baby toy gift for birthday / holidays. 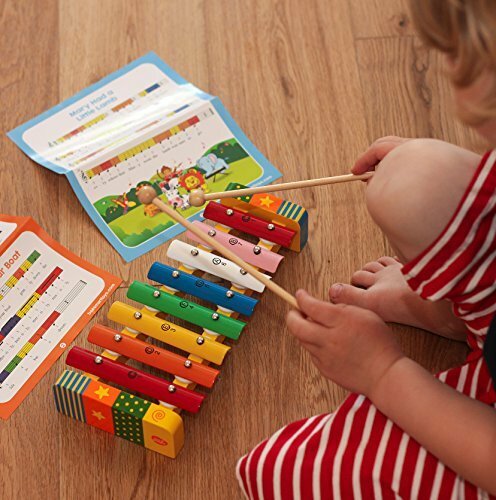 This xylophone music toy comes with a musical song sheets to help teach kids of all ages read and play songs. The 2 beaters are specially designed easy to hold and work well with little hands. Songs include: Jingle Bells, Mary Had a Little Lamb, London Bridge, Row Row Row Your Boat and Twinkle Twinkle Little Star. ✔ SUITABLE 18 MONTHS +. Encourages hand and eye co-ordination, creativity and enhances fine motor skills. High quality materials ensure durability and safety. ✔ HIGH QUALITY, NON-TOXIC & SAFE TO USE. Bee Smart is a UK company recognising that toys play an important part in a child’s development and our quality range of baby wooden toys will make learning such good fun! Made from high quality, responsibly sourced materials using non-toxic paints. Conforms to current European safety CE standards. A PERCUSSION INSTRUMENT Xylophone Glockenspiel with 8 multi-coloured metal keys and with wooden frame, in a premium wooden storage box with 2 beaters and colour/note coded song sheets of popular FIVE tunes.